A Wicked War presents the definitive history of the 1846 war between the United States and Mexico - a conflict that turned America into a continental power. 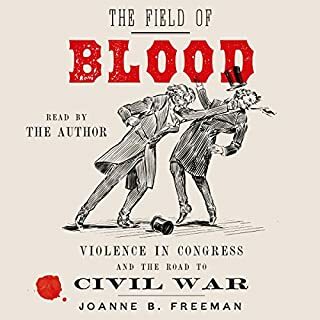 Amy Greenberg describes the battles between American and Mexican armies, but also delineates the political battles between Democrats and Whigs - the former led by the ruthless Polk, the latter by the charismatic Henry Clay and a young representative from Illinois named Abraham Lincoln. Greenberg brilliantly recounts this key chapter in the creation of the United States authority and narrative flair. One man we recognize: Andrew Jackson - war hero, populist, and exemplar of the expanding South - whose first major initiative as president instigated the massive expulsion of Native Americans known as the Trail of Tears. The other is a half-forgotten figure: John Ross - a mixed-race Cherokee politician and diplomat - who used the United States' own legal system and democratic ideals to oppose Jackson. Representing one of the Five Civilized Tribes who had adopted the ways of white settlers - cultivating farms, publishing a newspaper in their own language, and sending children to school - Ross championed the tribes' cause all the way to the Supreme Court. He gained allies like Senator Henry Clay, Chief Justice John Marshall, and even Davy Crockett. In a fight that seems at once distant and familiar, Ross and his allies made their case in the media, committed civil disobedience, and benefited from the first mass political action by American women. Their struggle contained ominous overtures of later events like the Civil War and set the pattern for modern-day politics. At stake in this struggle was the land of the Five Civilized Tribes. 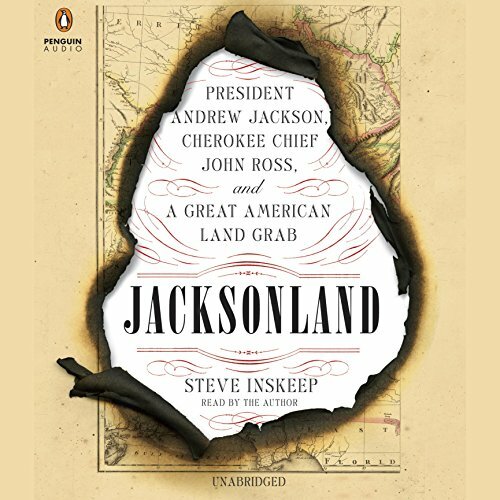 In shocking detail Jacksonland reveals how Jackson, as a general, extracted immense wealth from his own armies' conquest of native lands. Later, as president, Jackson set in motion the seizure of tens of millions of acres - "Jacksonland" - in today's Deep South. I am half Cherokee (with some Choctaw) and grew up knowing that Andrew Jackson was our historical nemesis and that my g.g.g. grandparents had been removed to our rez in Tahlequah OK. This book gave me so much greater insight and complicated my understanding of Jackson, Ross, and my own ancestors. I loved getting to listen to one of my favorite NPR voices as well-made an already fascinating and enraging story all the more engaging. That the truth be told about the removal of the Cherokee and other native tribes from their ancient lands on the American continent is a noble goal of those of us left here after so much strife, struggle and conflict. 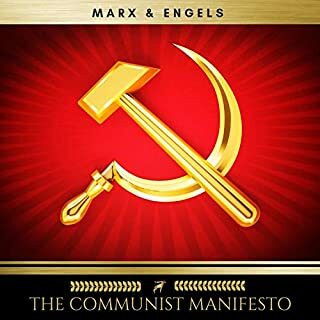 I felt like I was walking a trail of tears as the author so deftly and authentically led the reader on this journey describing the path chosen by so many great men and women to stand up for what is right and just against the prevailing powers of the age. I cannot look at a $20 bill the same way ever again. Eventually we see men as they truly are when the truth is well told. A compelling retailing of the Indian Removal and Forces behind it. As a Oklahoman and Cherokee Citizen, at first I was not interested in one more story about the suffering of the sad American Indian. However, I feel the book told a fascinating story of the long intertwined lives of Ross, Ridge, and Jackson. 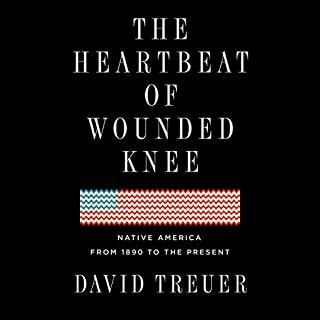 The Native Americans in this story are Statesman and astute political adversaries to the land hunger Jackson and Southern White Americans. 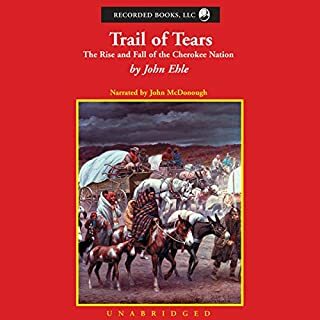 Even though you know how it ends, it is compelling to read how close Cherokees came to thwarting the Indian removal act. A fascinating view of american expansionism and the relations with the indian citizens. There is tragedy, but in the end, as a descendant notes, we must not forget those who made it. And celebrate that part of history too. This period in this region is an important part of the history of indigenous Americans and how they fit into our nation's history. It seems that most other indigenous removal histories focus on the American West. The history in this book is so relevant to the original young soul of America. And it isn't just a flogging condemnation of that national soul. I found it inspiring to know how much political and popular opposition there was to this Injustice, and that respect for indigenous peoples was and is broadly held, even if the ultimate policies have often been unjust. If you defend minority rights, you follow in a long American tradition. Our failures are shameful, but hopefully this story and others like it cause us to redouble our efforts in the future. 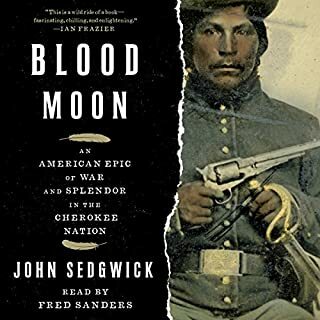 Steve Inskeep, yeah, the guy from NPR's Morning Edition, does a great job telling the paralell stories of President Andrew Jackson and John Ross, the leader of the Cherokees. The narrative is a bit thin in the beginning but as the story gets more complex, Inskeep does a fantastic job laying out this time period. He does a wonderful job of detailing the importance of some minor figures who had great impact. He also does not make any 21st century judgements on the key players and leaves that up to the listener to parse. Its a great book if you want a broad introduction into this time period in the country and made me want to know more about John Ross and Major Ridge. Finally, anyone that reads this should feel fine about about Andrew Jackson being removed from the $20 bill. Its something that is long overdue. What made the experience of listening to Jacksonland the most enjoyable? It had an adoration that elevated the whole subject. Indians as well early Americans were treated humanely. Some of the history was brutal, but Steve Inskeep navigated it deftly. What was one of the most memorable moments of Jacksonland? Lots of curious elements made for interesting listening. Jackson leading Cherokee volunteers was pretty incredible. 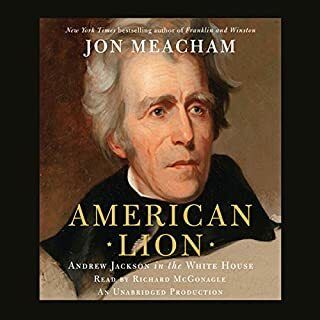 I was drawn to politics, and Jackson and Henry Clay. No, and a map may have helped me. I kept thinking of Lenard Skynard and Muscle Shoals. I may have more empathy for the South after this. I new that Jackson " acquired" land for the United States. but I had no idea how ruthless this man could be. What did you love best about Jacksonland? The author/reader has a superb voice, and wrote in a most-engaging manner. The story is horrific, and sad, but deserves to be known. The author has done us all a great service in putting together the story and presenting it in a way that the listener will find simply draws him/her in to keep listening until the story is completed. This is history that should be well-known to all residents ot North America, especially white American citizens. Thank you, Mr. Inskeep for this valuable public service!